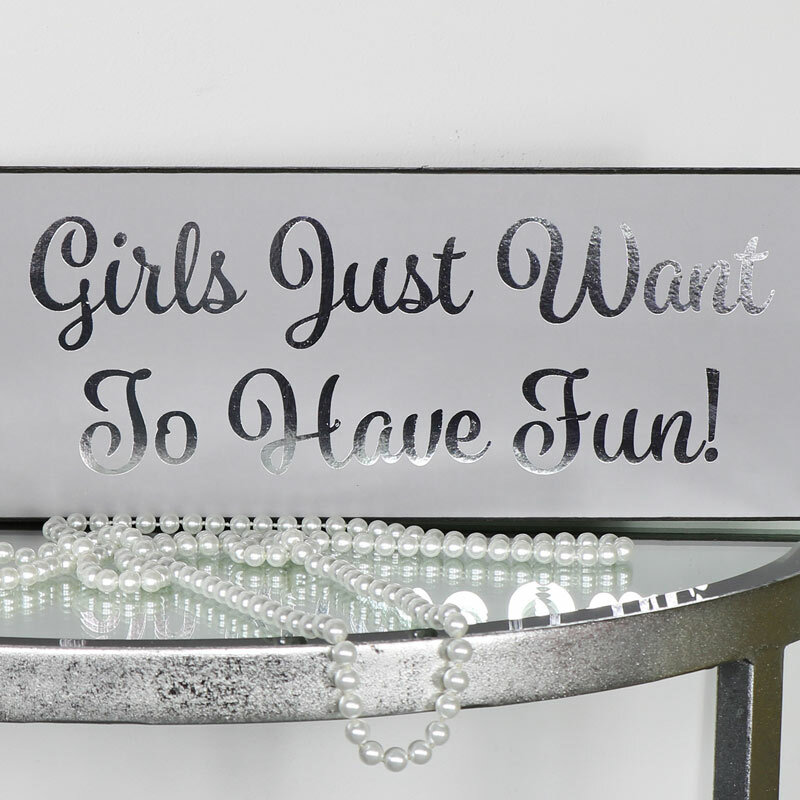 Grey Wall Plaque "Girls Just Want to Have Fun"
< Grey Wall Plaque "Girls Just Want to Have Fun"
Declare your fun loving side with this fabulous wall plaque. A great girly gift idea and the perfect wall decoration. Printed with the quote, "Girls Just Want to Have Fun", in metallic silver against a grey background. Plaques are a fantastic way of expressing your personality as well as deocrating your home in your own unique style. Perfect for hanging up in the living room, sallway or bedroom to add a little colour and style. Declare your fun loving side with this fabulous wall plaque. A great girly gift idea and the perfect wall decoration. Printed with the quote, "Girls Just Want to Have Fun", in metallic silver against a grey background. Plaques are a fantastic way of expressing your personality as well as deocrating your home in your own unique style. Perfect for hanging up in the living room, sallway or bedroom to add a little colour and style. Made from wood with printed front in colours of grey and silver. Easily wall mounted with a hole on the back for attaching to a wall hook.